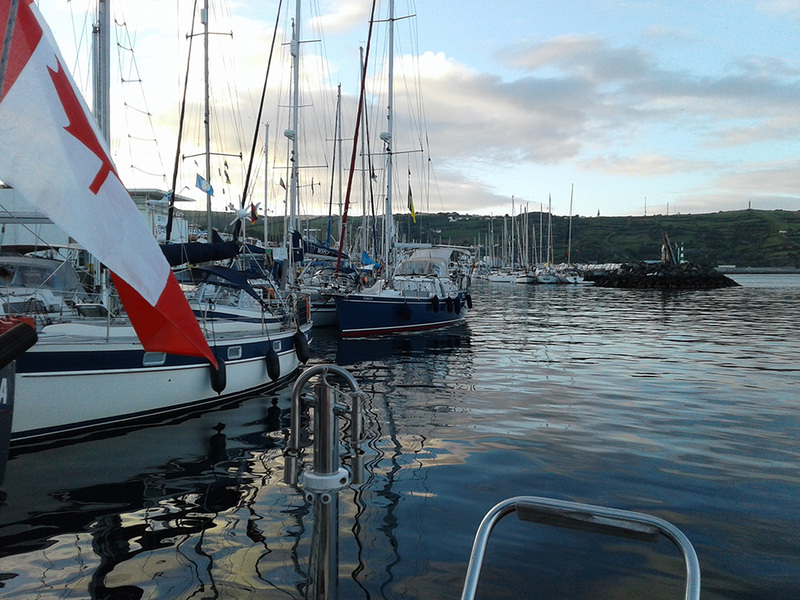 Sailing from Halifax’s North West Arm across the Atlantic to the Azores and beyond has been on Judy Robertson’s bucket list for a long time. “Anybody that knows me knows its been on my list of things I have to do,” said Robertson in a recent interview. 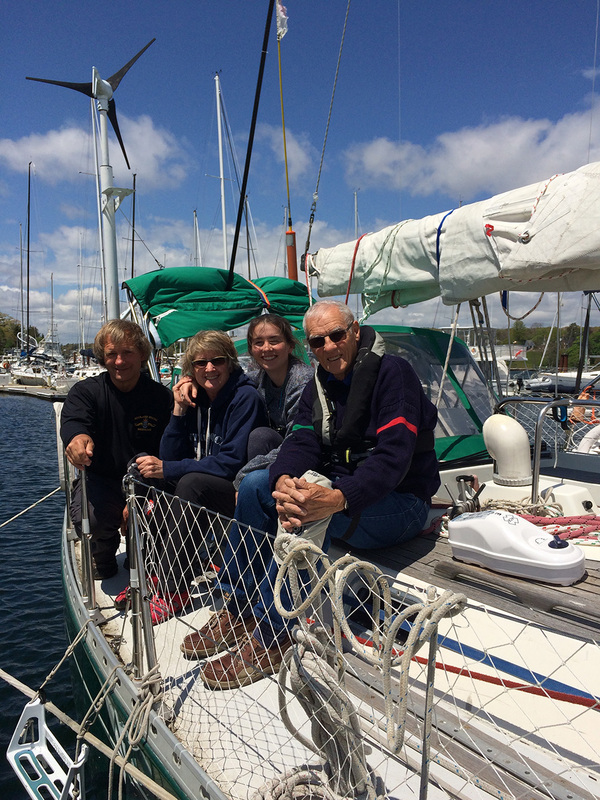 Robertson, her boyfriend David Sawatzky, 19-year-old daughter Marine Robertson Kempton and fellow seasoned sailor Denis Linton, who celebrated his 77th birthday the day after arriving in the Azores, would be the crew for the trans-Atlantic journey aboard the 40-foot Avance style sloop, Semper Vivens. 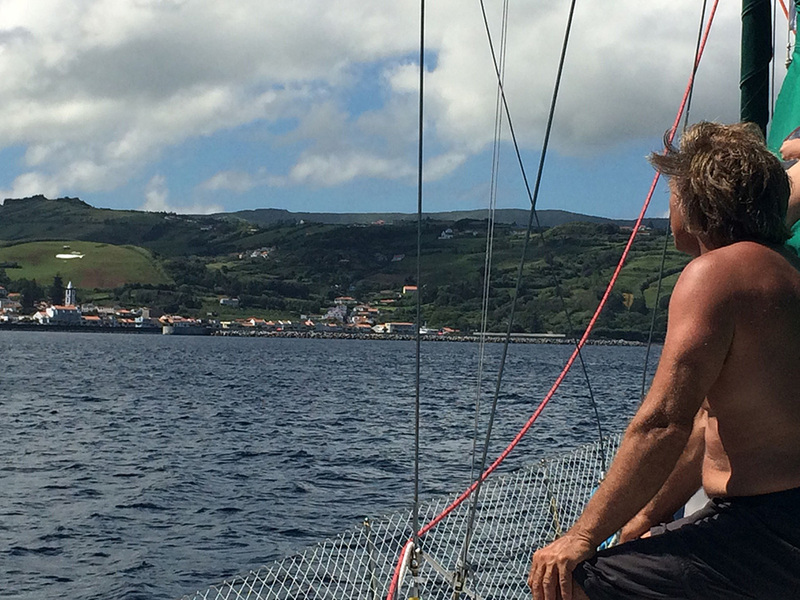 “We headed off the end of May and spent 18 days getting to the Azores,” said Robertson. It didn’t take long for the adventures to start. As Robertson was looking at the plotter a whale surfaced. Three days out and the weather turned really bad. 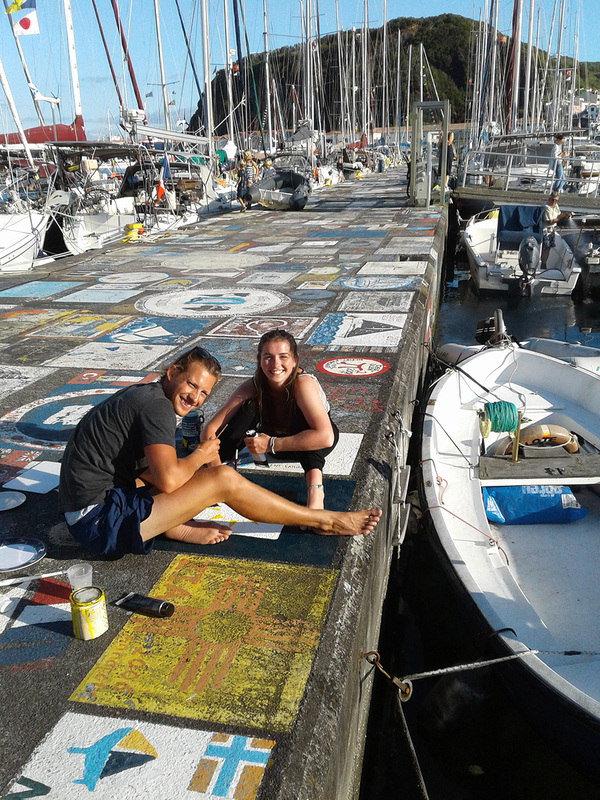 Marine Robertson Kempton and her boyfriend Nick Heath paint the Semper Vivens name and “BATTLE FLAG” on the pier in Horta, Azores. It is a huge tradition, says Judy Robertson, with hundreds painted there. So, Robertson used the VFC channel 70 function on her radio to make contact with the ship, which allowed her to send a digital message to the bridge. The captain responded and had time to alter his course. Knowing how to operate the VFC part of a radio is really, really important, said Robertson, who teaches sailing, VHF courses and navigation. It was smooth sailing from there on with the wonders of the ocean wowing the crew along the way. “One night we were about half way and there was a lot of Portuguese man o’ war in the water. Hundreds and hundreds of them. It was very beautiful,” said Robertson. 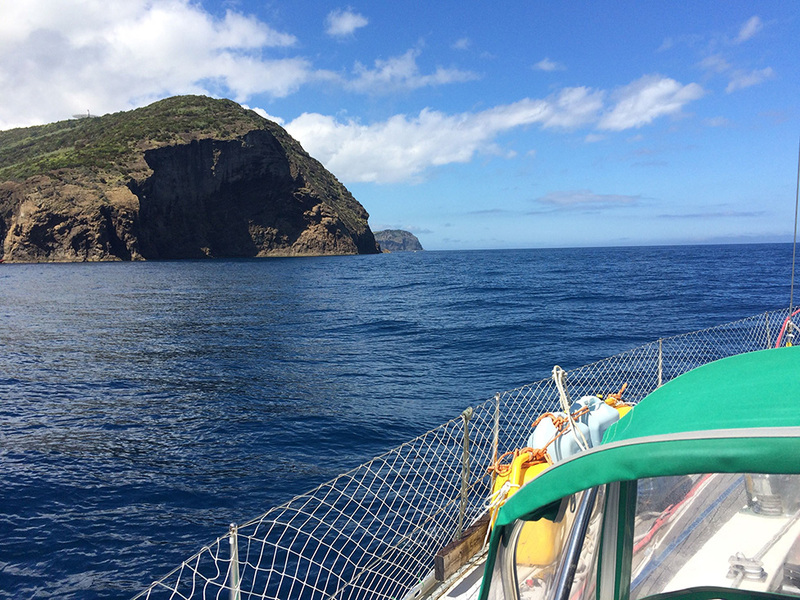 Robertson said the feeling she got arriving in the Azores after travelling 1,700 miles across the open ocean is almost indescribable. From the Azores to mainland Europe, Heath replaced Linton on the crew on a journey that took eight days and whose course had to be altered due to hurricane season. Judy Robertson is a certified Royal Yachting Association (RYA) Yacht Master Instructor, is an Instructor Evaluator with Sail Canada and is the founder of Nova Sail. She began sailing at the age of 10 and has never stopped. Throughout her life she has sailed the Eastern Seaboard to the Bahamas, the Turks and Caicos the Dominican Republic and to Antarctica from the coast of Patagonia with friends. No Replies to "From the Arm to the Azores in 18 Days"